NNWM/10: Outlines: Yay or Nay? As much as I’ve talked about NaNoWriMo, I’ve focused a lot on the novel itself but have devoted very little time to the actual writing of said novel. And it’s that writing process that people ask me about more than anything else, so I thought I’d devote a couple of paragraphs to that. The question I am asked most often – usually by those aspiring to write a book of their own – is, do you work from an outline? I would love to say that I carefully plot out every detail of my books before I type a single word, but the truth is, I totally wing it. Here’s the thing: there is no right or wrong way to write a novel. Just write the novel! Do it rather than worrying about how to do it. Find the method that works best for you, and unleash your inner Hemingway. There are many authors who work from intricately-detailed outlines and wouldn’t dream of attempting a piece of fiction without knowing exactly what is going to happen, chapter by chapter, every step of the way from the opening sentence to the magical “The End.” But that approach does not work for me. 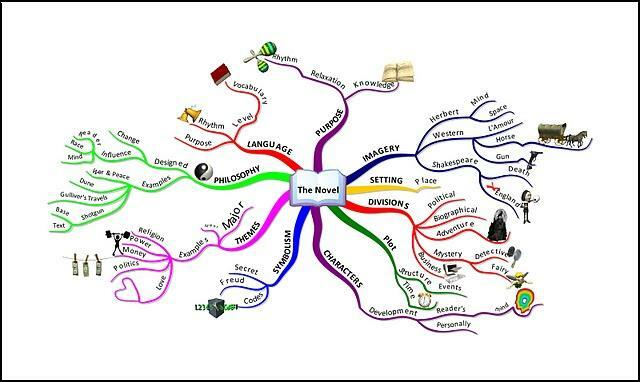 I have tried to outline my novels, but I find that hampers the creative process. Besides, I don’t know what’s going to happen until I start writing! Sure, I have a rough outline in my head – I believe you should have a basic plot in mind – but my best work is done off-the-cuff. Rather than guiding my story along, I let my story guide me. And that’s okay. You might find you need an outline. Guess what? That’s okay, too. The flying-by-the-seat-of-your-pants approach is not for the faint of heart. When I was writing No Time For Kings, I knew the book was about a group of eco-terrorists who resort to murder to further their agenda, and the female news reporter who set out to stop them. That was the basic mental outline I had. The rest of the story filled itself in as I wrote. There were major plot points, such as the fact that one of the main characters is a recovering alcoholic, that never even crossed my mind ahead of time. Because I wasn’t working from an outline, I was free to incorporate this new idea, and I believe it humanized my character, giving him a much-needed flaw because – on paper – he was too perfect. Dream Sailors is no exception. I didn’t even know how the book was going to end until a few days ago! Now I have a general direction in which I am headed, but I have no doubt there will be many surprises along the way – and I look forward to seeing where my novel takes me. My word count today was a little lighter than I’d like, but Tara and I are headed to Bothell for a quick (and long overdue) visit with family. We’ll be back tomorrow evening. I’m bringing my laptop along, but probably won’t be able to devote much time to the book until this weekend. But, hey – I’ve hit 20,000 words. I can live with that. If I outline at all, it’s very late in the process. When I wrote Ochoco Reach, it was purely a voyage of discovery. I outlined a couple of places to ensure I got the timing right. But that’s it. “A voyage of discovery” is a very apt metaphor. I’m glad I’m not the only author who isn’t afraid to fly by the seat of his pants! I totally get that, Pamela. A good mystery is so complex I think it would be next to impossible to not have an outline! That’s been my experience every time, as well. And ultimately my stories are better for those unexpected twists. The way you described your approach to writing was very much my approach to acting. So many actors want to “think” too much about “how” to act instead of just DOING it. That was very much how I acted. I just flew by the seat of my pants and allowed it to automatically happen. Have a great visit with your family this weekend, buddy! I often think writing and acting are closely related. I mean, I did just post about “method writing” a few entries back! Automatically letting it happen would lead to a more natural bit of acting, I would think. Hope you have a great Sunday, Ron! Outlines are for research papers! If I actually wrote a book, I would wing it as well. Safe travels and looking forward to your insta pics! Ahh, yes. You’re absolutely right! I totally equate outlines with the scientific method. Hope you’re having a groovy weekend! Outlines are so useful for essay, term paper and book. Helps establish a linear progression and include everything we want to write.